Awesome features and functions in a compact, attractive unit. Finished in a great looking black anodized aluminium housing. This Speedo is a perfect replacement for motorcycle brand speedo's that could cost you a small fortune!! The unit is designed to be fully universal. 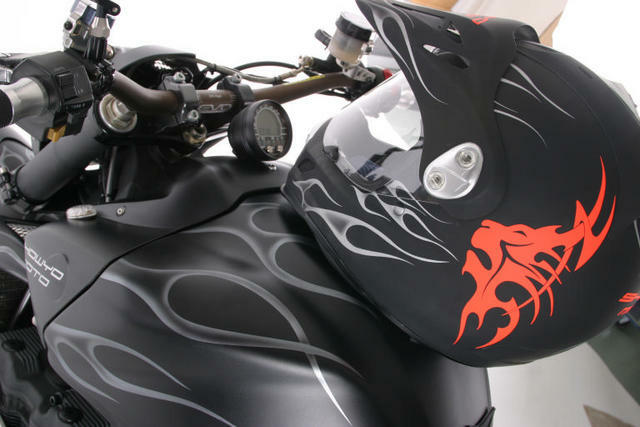 It can can be fitted to virtually any bike, quad, kit car or racing lawn mower!! 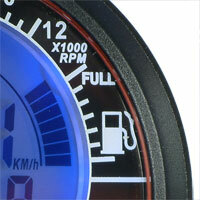 It provides a legal speedo, odometer and trip meter readout (km/h or MPH) together with a clock feature. LED indications give you left indicator, right indicator, full beam and neutral. The panel display gives you the tacho scale at the top, 1st row display offers you the speedometer, and various mode functions are in the 2nd row display. It also has a reset button and mode button for easy navigation. It also features a fuel gauge. The fuel sender must be 100ohm. If you do not have a fuel sender, you can purchase an Acewell ACE-TS, or you can choose not to connect the fuel sender. Includes analog and digital tacho, speedo (300km/h max), trip meter, odometer, clock, average speedo, maximum speedo, riding timer and cumulative riding timer. LCD has two rows of digital and one analog bar-graphic tacho displays with blue LED backlight. Odometer and cumulative riding timer measurements are stored in memory even when the power is off. Adjustable wheel circumference suitable for all kinds of wheels: setting range of 1-3999 mm setting. The kit includes a stainless steel mounting bracket, full wiring loom with connectors to match the Acewell computer, reed switch and magnet for speed pickup, wiring diagram, and english instructions. We also have stock of the ACE-2853, ACE-2853CP, ACE-3100, ACE-3701, ACE-3753, ACE-3853, and ACE-3963. If there is a model you are after that we do not have in stock, we can get it for you. 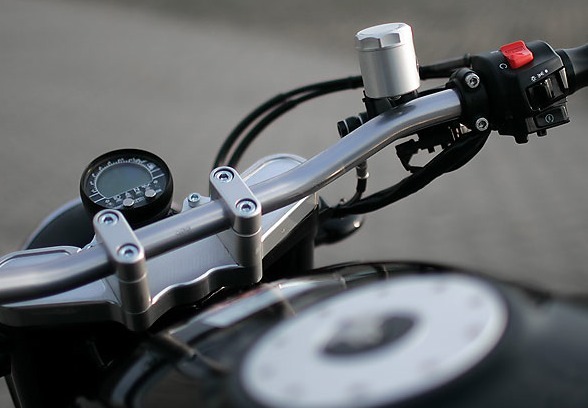 We can also supply you with Acewell accessories, such as magnetic bolts for use in the front brake rotor for a factory look install, hall sensors, water temperature adaptors, and water temp sensors for race bikes.